The story of Chuck Wepner, the true-life inspiration behind the Rocky series. If you're reading this review, chances are you're more of a movie fan than a boxing buff. You know who Rocky Balboa is - one of the most iconic characters American cinema ever unleashed on the world. Over seven movies, from the Oscar winning 1976 original to last year's baton-passing Creed, Sylvester Stallone has embodied a protagonist who has captured the hearts of the public like few others. Rocky is the little guy who could, and did! What you may not be aware of is that Stallone was inspired by a real-life figure, New Jersey boxer and liquor salesman Chuck Wepner. At his height, Wepner was ranked number eight in the Heavyweight division, but without the riches afforded today's boxing stars, he still had to hold down a full-time day job, and lived a typical working class life. As a boxer, he was notable for two reasons - he could take a punch like few others, and he was white at a time when the sport was dominated by African-Americans. The latter led him to the greatest moment of his sporting life, when promoter Don King specifically wanted a white man to fight Muhammad Ali, then the world Heavyweight champion. Wepner's ability to take a beating and keep moving forward (a philosophy Stallone would weave into his own franchise) meant he made it to the fifteenth and final round of his bout with Ali, the referee stopping the fight with mere seconds to go. Though Ali was past his prime at this point, coming within seconds of going the distance with the world Heavyweight champion was quite the feat, especially for someone like Wepner, whose lifestyle of "wine, women and song" meant he wasn't exactly in optimum physical shape. 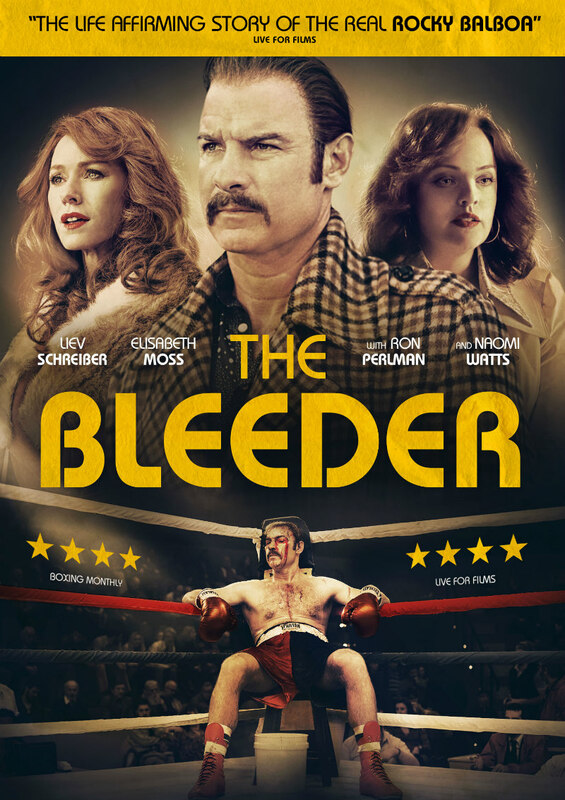 In director Philippe Falardeau's The Bleeder (released in the US as Chuck), Liev Schrieber dons a prosthetic nose and grows sideburns to take on the role of Wepner, whom the film portrays as a likable trainwreck without romanticising the effects his ego had on his relationship with his long-suffering wife Phyllis (Elizabeth Moss). Rather than building up to the Ali fight, which would have made The Bleeder play like little more than an inferior Rocky knock-off, Falardeau's film, scripted by the duo of Jerry Stahl and Jeff Feuerzeig, gets that duel out of the way early on. 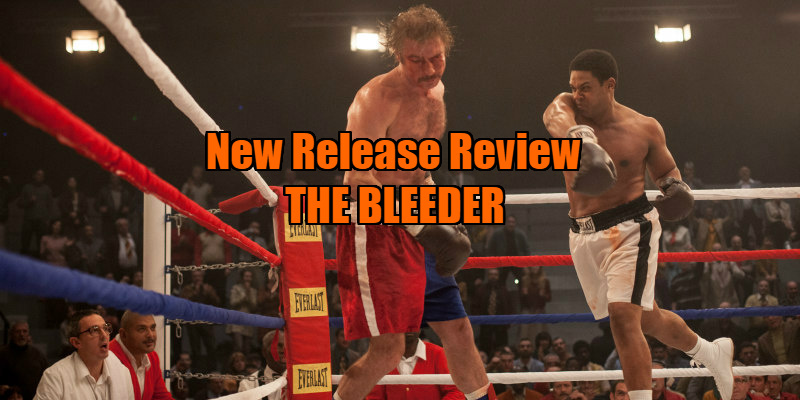 The Bleeder is more interested in the after-effects of the fight, and the psychological impact of an athlete knowing his finest hour is behind him and rapidly fading in his past. The movie makes no bones about its debt to 1962's Requiem for a Heavyweight (a movie which incidentally features an early appearance by Ali), with Wepner seen watching and quoting along with Anthony Quinn's similarly tragic schlub. Falardeau shows little in the way of imagination in telling this tale. Like most biopics of hyper-masculine figures, The Bleeder borrows heavily from Goodfellas, all freeze frames, braggadocious voiceover, zooms into lines of coke and pounding '70s rock and funk. Thankfully however he never lets his stylistic obsessions get in the way of Schrieber's performance, which is by far the film's greatest strength, and arguably belongs in a better movie. If you're neither a fan of boxing or the Rocky series, The Bleeder will likely play as a second-rate biopic. Pugilism devotees however will find it an easy-going tribute to a forgotten figure of the sport, while for Rocky buffs it will prove an insightful piece of background detail. Watch out for Morgan Spector's amusing turn as the Italian Stallion himself. The Bleeder won't be remembered as the greatest of boxing movies, but it keeps moving forward. Lionsgate UK presents The Bleeder on DVD, Blu-ray & Digital August 21st.